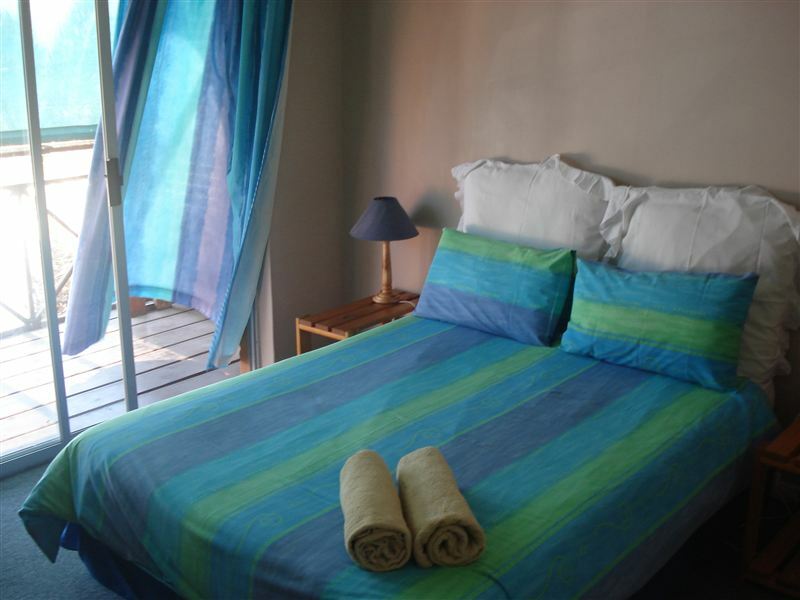 Namaqualand with its flowers, the Richtersveld Desert Mountain wonderland and the Wild unspoiled West Coast are on the doorstep of this fully equipped holiday house overlooking the Atlantic Ocean. Immerse yourself in the history of Diamonds and Fishing as you explore the beautiful sheltered bays in the area.<br /><br />The Atlantic Gem holiday house is situated 4km south of Port Nolloth at McDougalls Bay. In true West Coast fashion, this settlement has a mixture of established houses and holiday beach shacks. The house has a view of the sea although this is partially obstructed. The photo showing the sea view that appears on this page was taken from the verandah adjacent to the braai room. The photo of the diamond boats was taken in nearby Port Nolloth.<br /><br />There are three bedrooms, the main en-suite and a second bathroom. Main bedroom and second bedroom have double beds and third bedroom has twin beds. Wi-Fi is available in some of the units. All the modern amenities for self-catering are available. Fresh oysters cultivated locally can be ordered. The house would be convenient as a stopover to the Richtersveld Nature Reserve.<br /><br />The house is only let to one party/group/individual at a time, privacy is yours. The owners live in Namibia and our agent runs the house. A fully enclosed separate braai-barbeque area allows you to enjoy the view, whatever the weather. <br /><br />McDougalls Bay offers a sheltered tidal Lagoon which is ideal for children, Kayaking and Windsurfing. For the hungry and adventurous, there is an opportunity to dive for crayfish and collect mussels along the coast. There are also restaurants specialising in seafood in nearby Port Nolloth. For birders, there are numerous opportunities to view a diverse mix of birds with coastal, inland and riverine eco systems in the general area. This is an ideal base to explore Namaqualand with its flowers and the Richtersveld National Park. <br /><br />By prior arrangement, we can assist in getting clearance to enter Namibia via Oranjemund and the Sperrgebiedt. This is a seldom-travelled route, which is passable in a high ground clearance 2x4 vehicle Oranjemund/Rosh Pinah/Aus/Luderitz. Relax in one of the safest and remotest areas of South Africa. The owners of the house are keen on camping, 4x4 and the general outdoors and would be happy to hand out advice to ensure that your trip is a memorable one. Please note meals are not served it is self-catering only. "The house was clean, and beds comfortable but we couldn&apos;t sleep due to a pump behind the bed wall that sounded a bit like a foghorn. It never stopped right through the night. Exhausted.The house was very difficult to find and the reception was to say the least, uncomfortably chilly, when phoning to ask for help to get the keys, the roads are not marked." "If ever an apt name"
"We truly enjoyed our stay at Atlantic Gem, thanks to our hosts. It was a quiet getaway from the city, and it was obvious that some thought was put into making it a comfortable stay. Thanks so much!" "The place that we stayed in was very nice clean and had a beautiful view We would gladly come back some other time"
"Excellent accommodation!Thank you. We enjoyed the stay-over!" "The accomodation was very comfortable fitted with absolutely everything you need , right down to an iron and a hairdryer! The only disappointment was the fact that we were not on the beach and could only see the ocean standing on the balcony. For children having DSTV is an added bonus. The owners have also provided an information brochure on the town and surrounding areas -very interesting!" "Great holiday accomodation. Practical, spacious and great views!!" "I was a little dissapointed that the view of the sea was so restricted but enjoyed sataying in the house very much."